Do you have a dress that is just a bit too loose for you to wear? Trying to get your wedding gown to fit perfectly for your special day? Do you have clothes that you need altered? Are you searching for the best deal on a tuxedo rental for a special occasion? Is your dry cleaning piling up? If you need help with any of these issues, you need to visit Tess Alterations Tuxedo Rental & Dry Cleaning today. 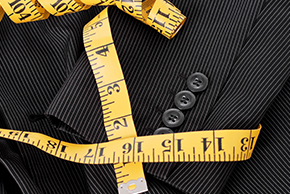 At Tess, we are Goodyear, Arizona’s top choice for all alterations, tuxedo rentals, and dry cleaning. Offering swift and affordable service, the Tess services are perfect for handling all of your garment needs quickly and easily. Our skilled and experienced staff members perform all of our alterations, guaranteeing excellent results with any garment, every time. We also provide tuxedo rental services for men’s formal wear needs. Choose from our beautiful and contemporary selection of tuxedos that are perfect for those special occasions. Our dry cleaning service is safe and effective; delivering freshly cleaned jackets, coats, pants, dresses and pressed shirts. Tess Alterations Tuxedo Rentals & Dry Cleaning is the top choice for all your garment needs in the Goodyear area. We have years of experience in providing the finest quality alterations, easiest tuxedo rental experience, and quickest dry cleaning service in the area. With our extremely affordable rates, you are sure to return to Tess’ again and again for your clothing needs. To learn more about the variety of services available at Tess Alterations Tuxedo Rentals & Dry Cleaning, contact our store today. Or stop by to drop off a garment that you need handled quickly and professionally!